Fresno is a large city with a higher-than-average number of serious auto accidents where people suffer severe injuries or lose their lives. According to state data, the total number of auto accidents, vehicles involved in deadly car wrecks, fatal collisions caused by drunk drivers, and pedestrians involved in deadly collisions are higher than average in the City of Fresno compared to other cities in California. And the risk of being involved in a severe accident is ever-present since the city features a large, bustling population and congested roads and highways. The streets of Fresno are quite unique. They are structured in a grid-like format leading to a compass formation. The streets are categorized by quadrants. From east to west, there is State Highway 180 Sequoia Kings Canyon Freeway. From north to south, there is the 41 Yosemite Freeway. The accident statistics in Fresno are concerning. Between 2003 and 2016, there was a total of 10,897 car accident collisions just in the City of Fresno. These collisions resulted in over 15,000 injuries and over 270 deaths. Approximately 581 car accidents involved serious injuries. Another 2,565 car accidents resulted in injuries. Another 7,499 car wrecks resulted in complaints of pain by at least one individual involved in the collision. The number of people who passed away in California car accidents has steadily increased since 2010. Between 2003 and 2013, the highest number of auto accident deaths in California was recorded in 2005. Approximately 35.5 percent of car wrecks occurred on a State Highway. Around 8.6 percent of collisions involved a pedestrian. Another 5.4 of accidents involve a collision with a bicycle. Finally, another 4.7 percent of crashes involved a collision with a motorcycle. As indicated above, the majority of automobile accidents occur on state highways and freeways, in addition to the Yosemite International Airport, the 41, city center, and areas surrounding Shaw Avenue, West Herndon Avenue, and Van Ness Boulevard. State data indicates that rear-end auto accidents were the most common type of collision with a total of 3,658 crashes. A close second was a vehicle being broadsided with 2,783 accidents. There were 638 head-on car accident collisions. Another 875 collisions involved a vehicle being sideswiped. Another 847 accidents involved a car colliding with a pedestrian. Car accidents are a serious safety issue not just in Fresno, but across the country. Nationally, a car wreck takes a life every twelve to fifteen minutes. According to the National Safety Council, there were approximately 35,200 car accident deaths and 3.8 million people suffered serious injuries in 2013 alone. In 2015, about 2.44 million people suffered injuries in auto accidents. This means the fatality rate per 100 million vehicle miles traveled in 2015 rose to 1.13 from 1.08 in 2014, according to the Insurance Information Institute. Some Fresno car accidents are just a product of fate. But many other serious collisions are the product of poor decisions and reckless behavior by another driver. A prime example is drunk driving accidents. Nationally, approximately 72 percent of drivers killed in an auto accident in 2013 were legally intoxicated. That is a shockingly high percentage. In California, roughly 78 percent of drivers who died in an auto accident had blood alcohol content that exceeded the legal limit. Of course, these statistics should be viewed with caution since blood tests are typically administered when police suspect that a driver had been drinking at the time of the collision. When police have no reason to believe alcohol may have played a factor, then they usually do not conduct a blood test. In addition, some states have protocols in place to test the blood of deceased drivers while other states do not. For example, a drivers blood alcohol content is rarely tested in West Virginia unless there is some evidence to indicate that the driver may have been intoxicated. 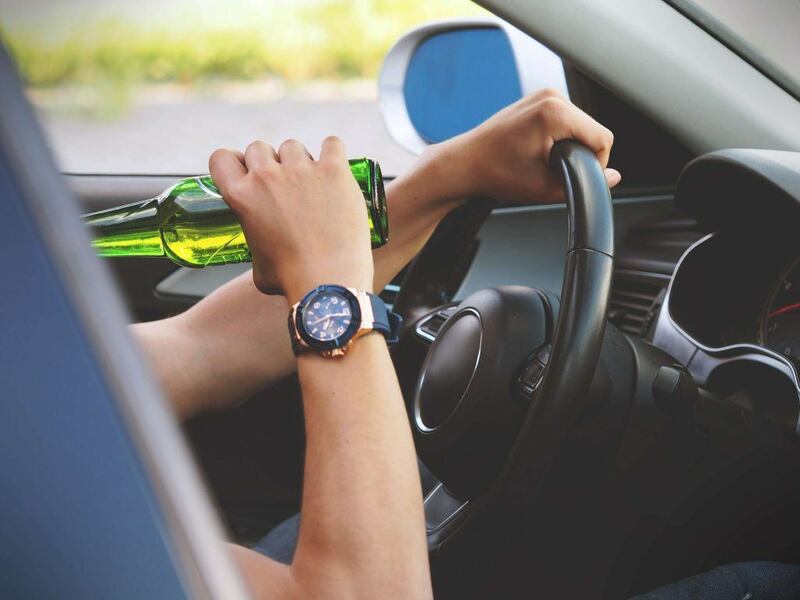 The Department of Transportation harmonized the data from different states and determined that approximately 33 percent of all drivers who died in a car accident nationwide were legally intoxicated. In California, the percentage is even higher (35 percent to be exact). The state with the highest percentage of over-the-limit driver deaths using that Department of Transportation analysis was South Carolina. West Virginia and Minnesota were ranked lowest. One of the easiest ways to dramatically reduce the risk of suffering a life-altering injury or death in a Fresno car wreck is to wear your seatbelt. 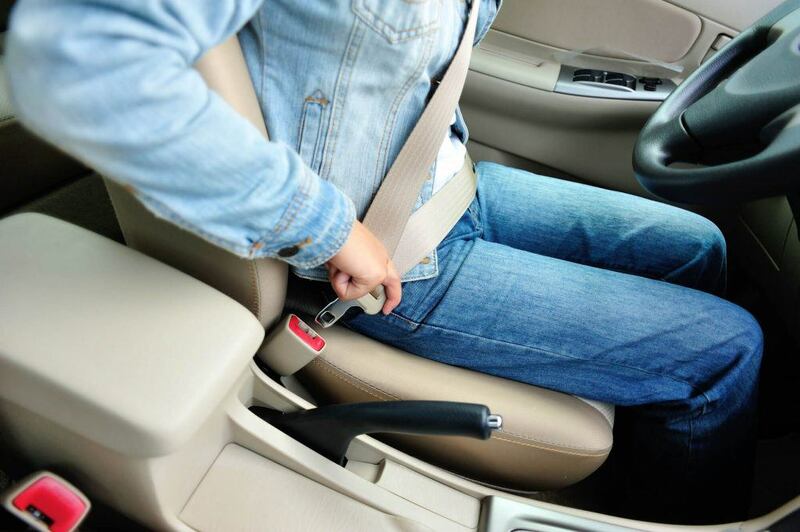 In California, approximately 97 percent of drivers comply with seatbelt laws. However, roughly one-third of the car occupants who died in a 2013 collision did not wear their seatbelts. If you or a loved one was hurt in an accident and you were not wearing your seatbelt, you may still have a viable Fresno personal injury claim against the other driver. This is because California adheres to a pure comparative negligence standard. You may be asking yourself, “what the heck is comparative negligence?” Well, comparative negligence is a doctrine utilized to assess the liability of a defendant, or defendants, and damages that may be awarded to an accident victim. In a pure comparative negligence jurisdiction like California, each defendant is liable only for their percentage of fault. An injured party is still able to recover damages in a pure comparative negligence jurisdiction, but the award of damages is reduced by their own percentage of fault, as determined by a judge or jury. Getting involved in a severe auto accident in Fresno can be a traumatic experience. You may be consumed by the safety and well-being of your passengers (if other people were in the car with you) or your own injuries. If you are physically able, the first thing you should do is contact the police. When they arrive at the scene, you should ask the police officer to write and file a police report. You should also try to get the name and badge number of the police officer, or officers, who arrived at the scene of the accident. Next, you should exchange information with the other driver (again, if you are physically able). Try to get the other driver’s primary telephone number, home address, driver’s license number, license plate number, and auto insurance information. If you are unable to obtain this information at the scene, you should speak with a Fresno car accident attorney. The police report typically contains the contact information of the drivers involved, so that info could be used to track down the other driver’s auto insurance information. In addition to obtaining info from the other driver, try to get information from any eyewitnesses. Eyewitness accounts are critical and can strengthen your Fresno personal injury case. This is because juries often place great weight on eyewitness accounts since they are considered to be unbiased. You should try to get the full name and telephone number of each eyewitness who was at the scene of the collision. You should also, if physically able, take photos of the accident scene. With the proliferation of smartphones, many people can easily take a picture wherever they are, including at an accident scene. 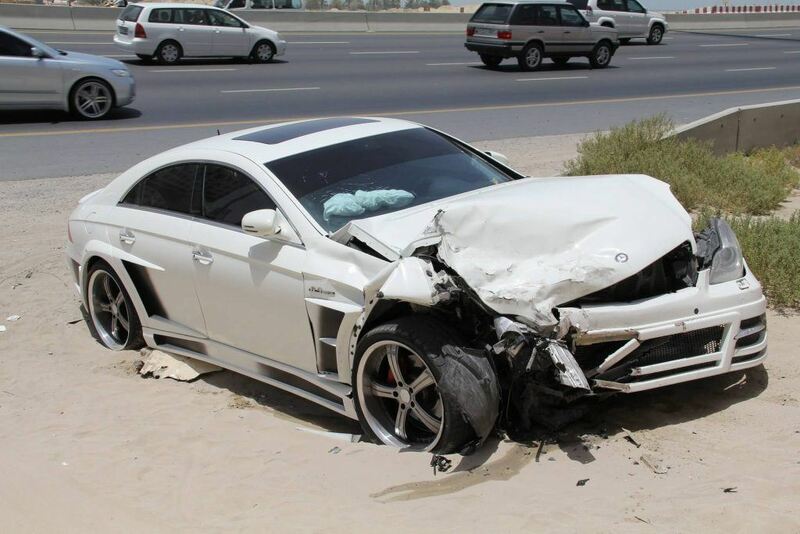 If you have your smartphone available at the accident scene, take a few pictures of your vehicle and your injuries. Finally, seek immediate medical attention for your bodily injuries. Even if the accident was “minor” and you think you are fine, you should still get checked out by a doctor. This is because there are some “invisible” injuries that people can suffer from auto accidents like a concussion and other head trauma. You may want to consider talking to a Fresno car accident lawyer to see if you can seek compensation for your damages. Do not be surprised if a representative from the other driver’s insurance company contacts you by phone. It is quite common for insurance companies to try and make contact shortly after a collision to try and offer a lowball settlement and get your claim resolved as quickly as possible. The best strategy is to avoid speaking with the representative and only make contact after talking to an experienced Fresno car accident attorney. Why? Because innocuous comments can be manipulated and distorted to make it look like the collision was your fault or that your injuries were not really that serious. And, as mentioned, they may try to pressure you into agreeing to a below-average settlement. Once you hire an attorney, the hassle of dealing with a claims adjuster will largely disappear. This is because your attorney will be your representative and handle negotiations with the adjuster. This allows you to focus on healing and getting your life in order after the wreck. Medical expenses, which includes doctor’s visits, prescription medications, deductible costs, and so forth. 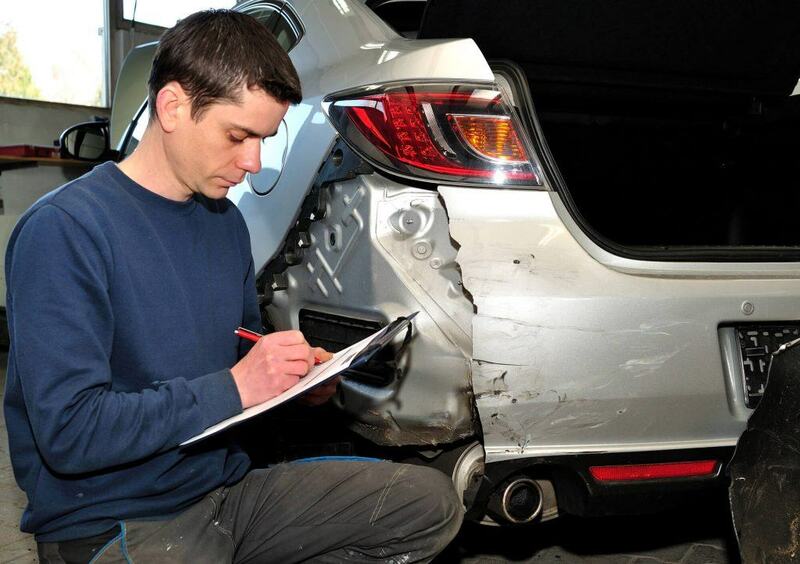 You should focus on your recovery, not haggling with an insurance adjuster. The ability to bring in a seasoned attorney to advocate on your behalf is a major benefit to hiring a Fresno car accident attorney. They also have the experience and knowledge to ensure your case is thoroughly investigated, all statutory deadlines are met, and that you will have a compelling case ready to present to a judge or jury, if necessary. Another benefit is the fact that most car accident lawyers work on a contingency fee. This is a fee structure that allows practically anyone, regardless of their income, to hire an experienced and skilled trial attorney. Under a contingency fee structure, you do not have to pay a large retainer fee or some outrageous hourly fee. Instead, you can hire the lawyer with no upfront fee. Your lawyer is only compensated when they obtain a financial recovery on your behalf, typically through a settlement or jury verdict. At that point, your lawyer receives a percentage of the overall economic recovery (which can be mutually agreed upon at the onset of your case). I'm Ed Smith, a Fresno car accident lawyer. If you or one of your loved ones have suffered an injury in an accident, please call me today at (559) 377-7676 or (800) 404-5400 for some free and friendly advice. It is free to call and talk to me, and there is no obligation. Remember, I take my cases on a contingency fee basis which means you pay no fees upfront. I get paid at the end of the successful outcome of your injury case. I am a Million Dollar Advocate. I have numerous case verdicts and settlements worth in excess of $1 Million Dollars. Please take a moment to read some of the Past Settlements and Verdicts I have obtained.